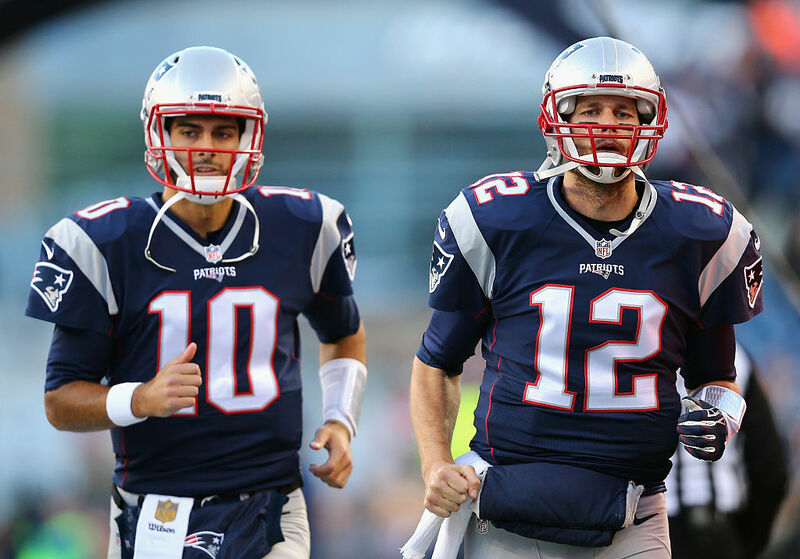 The 49ers found their quarterback for the rest of the year – and hopefully beyond – in former Patriots backup Jimmy Garoppolo. The Niners gave up a 2018 second-round pick for Garoppolo, who only started two games with the Patriots. Turns out, Garoppolo wasn't the only Pats quarterback the Niners wanted. Per Fox Sports' Jay Glazer, 49ers GM John Lynch called Patriots coach Bill Belichick to inquire about Garoppolo. But the Patriots at the time weren't quite ready to give their backup away and turned the Niners down. Lynch wasn't giving up that easily, though. He called back and asked if the Patriots would instead trade Tom Brady, since Garoppolo was off-limits. Belichick's response? "What did you just ask me? Did you just ask me if I would trade Tom Brady?" Even at 40 years old, Brady has continued to play at a high level. Though it would be a shock if he were still playing in ten years, if anyone could do it, it's Brady. After getting a chuckle out of Lynch's offer, Belichick eventually relented and the Niners got their original choice in Garoppolo. And if he turns out to be a franchise quarterback, the Niners will be thrilled. No questions asked. Jimmy Garoppolo has never lost a start throughout his career. And now, the 49ers are paying him more than any other player in the NFL. Jimmy Garoppolo Is Now A San Francisco 49er... How Much Did He Make While With The New England Patriots? Jimmy Garoppolo has made a good deal of money to stand on the sidelines for the Patriots. Now he'll have the chance to sign a huge deal this summer.